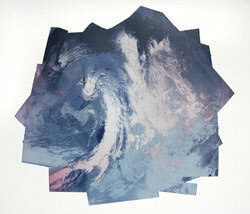 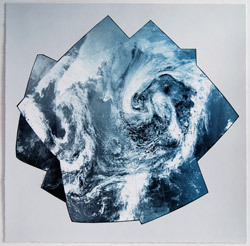 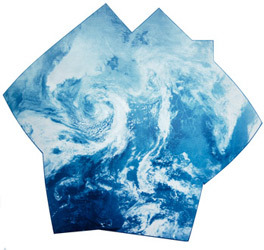 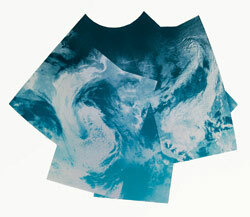 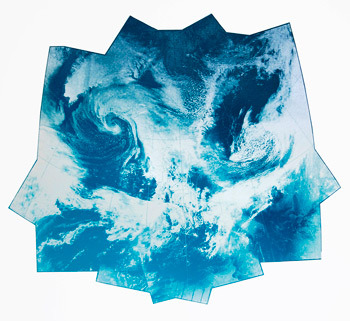 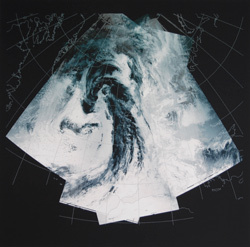 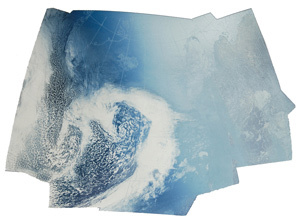 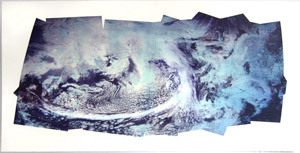 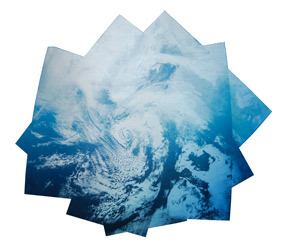 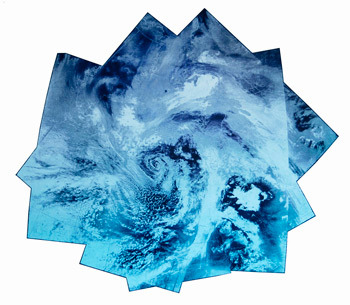 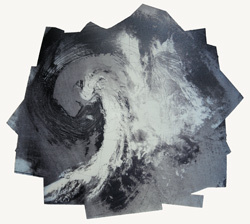 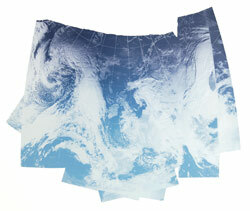 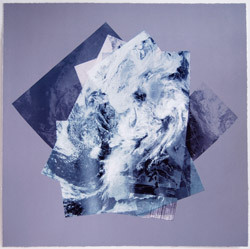 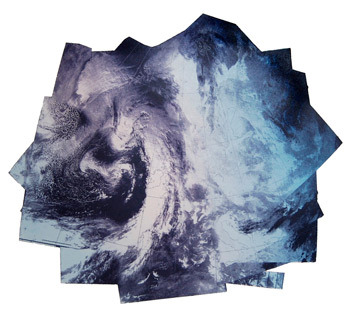 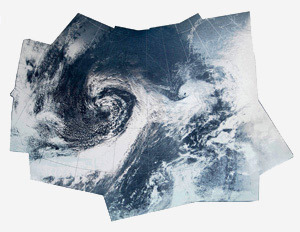 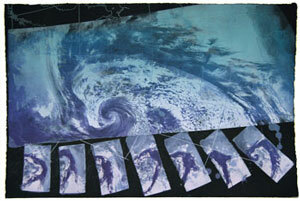 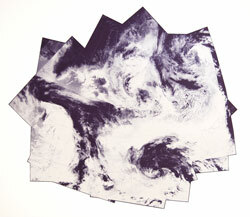 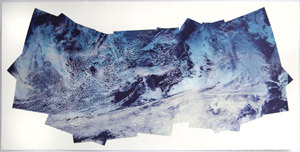 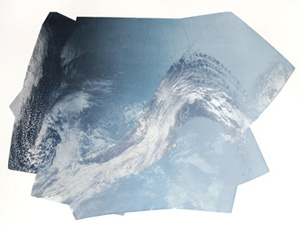 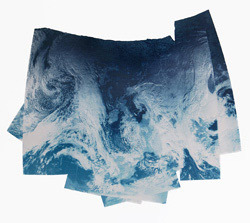 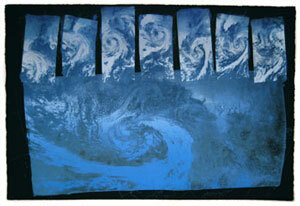 In 2010 I created a series of prints based on composited weather satelite images. 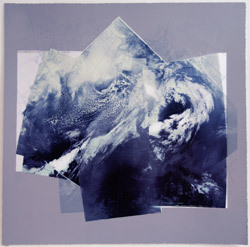 Created as digital collages these works fuse the map-like references of meteorological scans along with the movement and energy of cloud formations, weather fronts and cloud patterns and incoporate gestural brushed marks to accentuate the movement in the shapes. 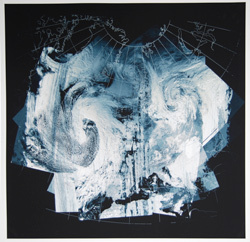 The lithographs incorporate shiny, pearlescent pigment into the base layers, which hightens the surface quality of the marks and allows the work to change when viewed from different angles.